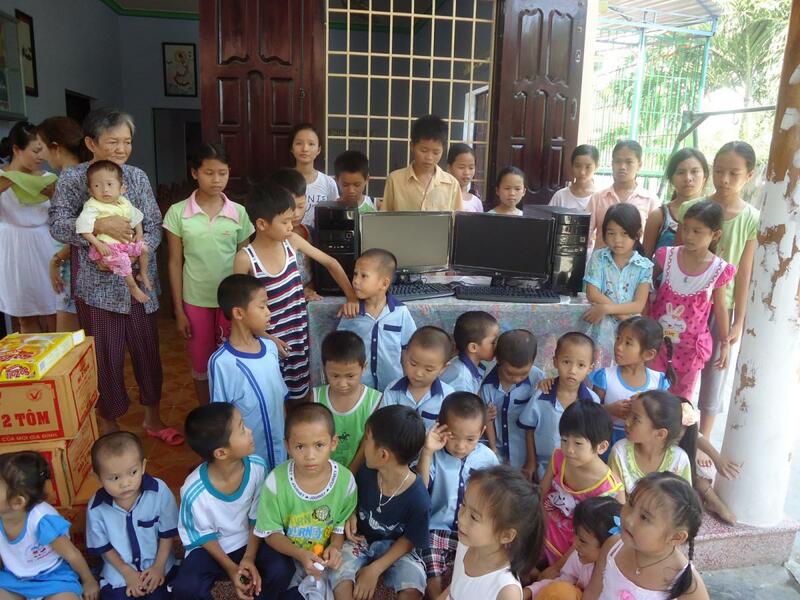 On May 28, 2012 we drove up to the Mai Am Anh Dao Orphanage with computers. When a generous group from Australia visited the orphanage on May 14, they met and talked with Sister An Son about the children’s needs. She said that she hoped to one day have a room dedicated to teaching the children computer skills, with an instructor that would come out and give the orphans valuable lessons that would help them later in life. At the time, there were several very old computers that had been donated years ago, but most of them had outlived their usefulness. 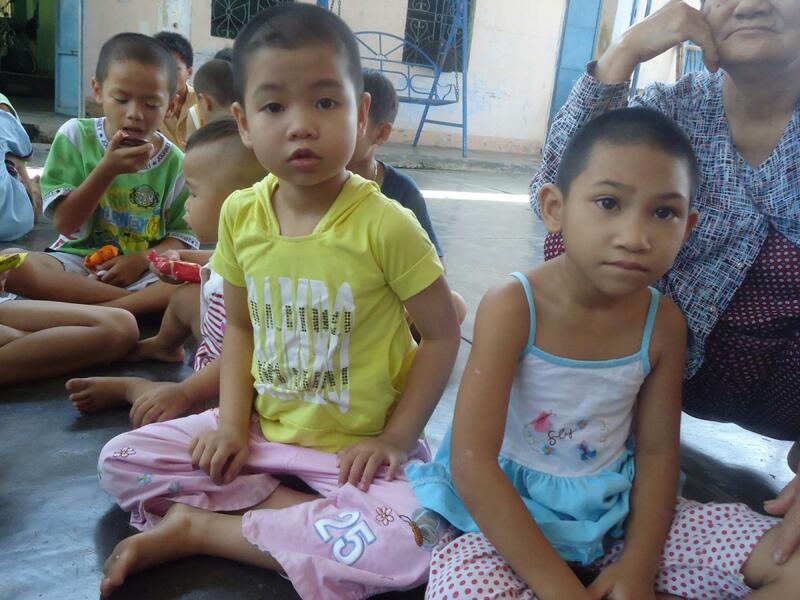 Visiting the orphanage on May 14 were Nicole, Linda, Janelle, Terry, Linda, Cate and Amanda. 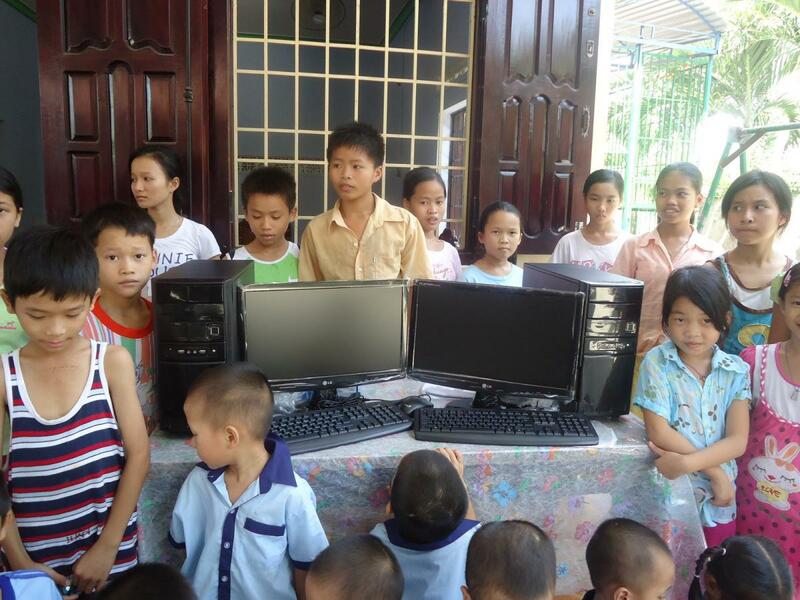 After already helping the orphanage enormously, they immediately contributed funds for two brand new computers to further assist the children. 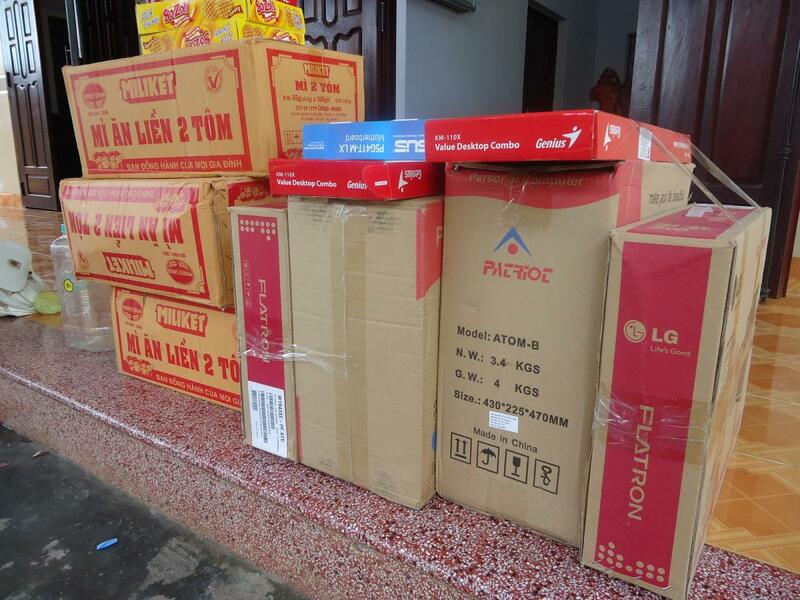 We placed the order for the computers several days later, and drove up to the orphanage on a sunny Monday morning. 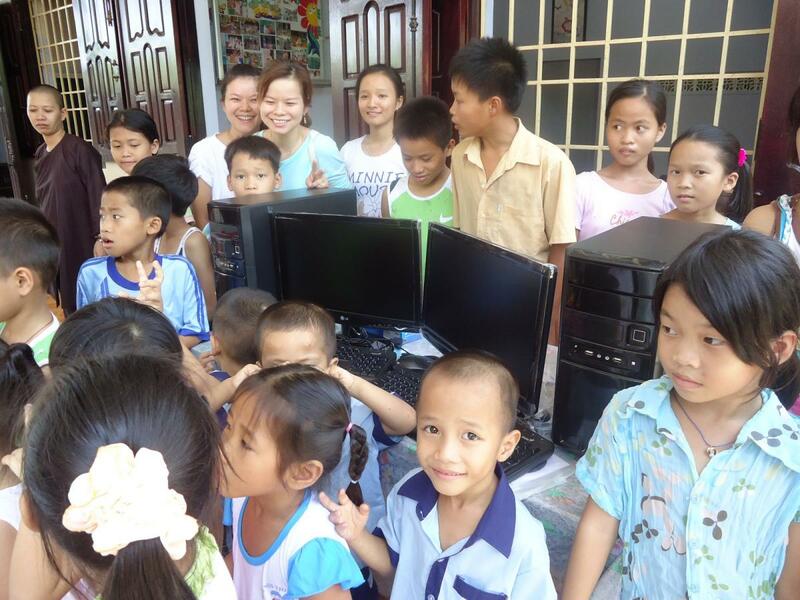 The school year is finished in Vietnam, so all of the kids were on hand to see us carrying in the boxes of computers, flat screen monitors, mice and keyboards. We unpacked everything in the common area so all of the kids could see, and it was an exciting time for everyone. 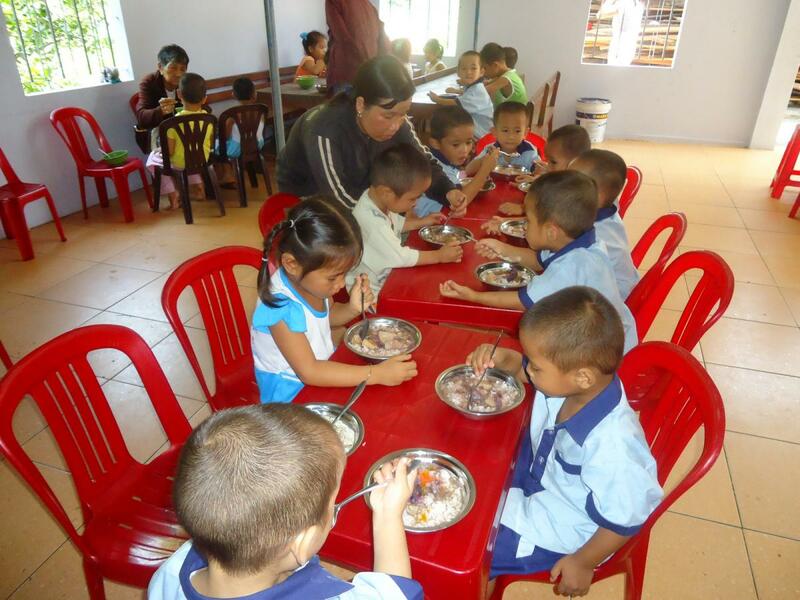 Also joining us on the trip was the Boisson family, who visit Mai Am Anh Dao as often as they can. 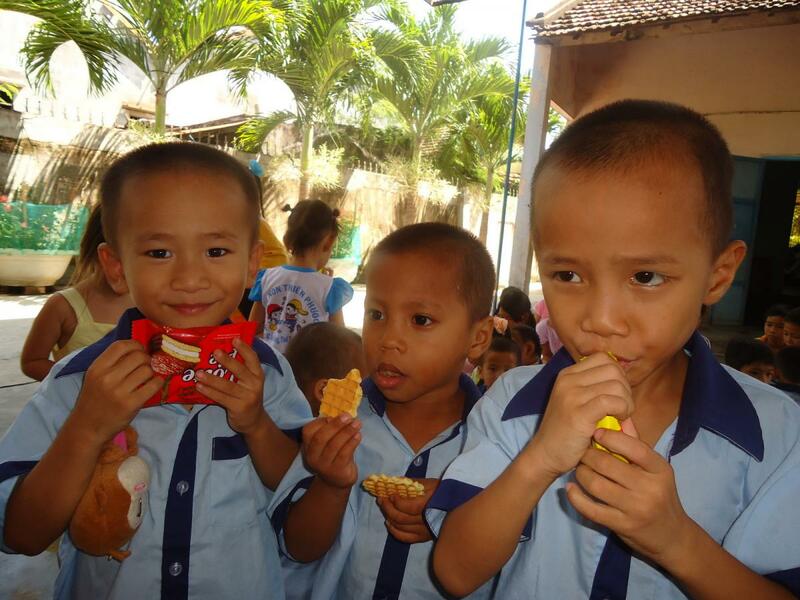 They brought boxes of noodles and snacks for the children. 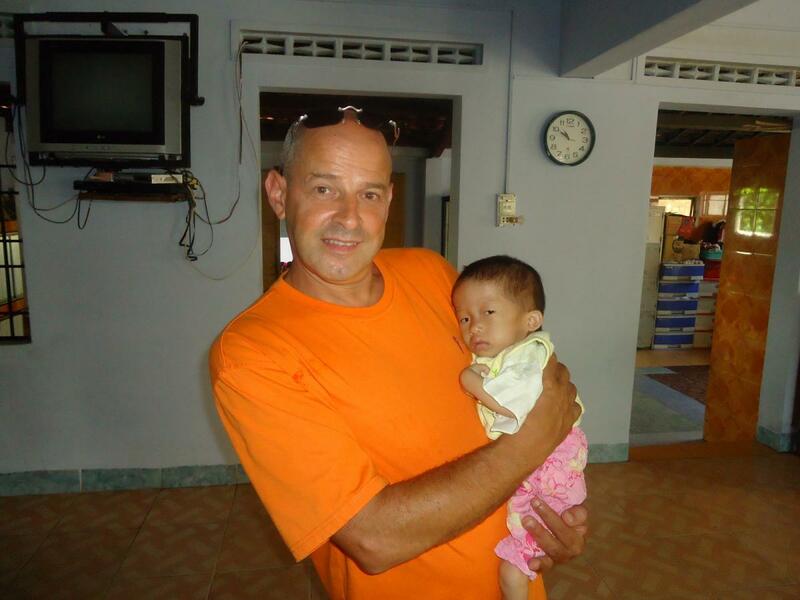 While we were there we met a new addition to the orphanage. 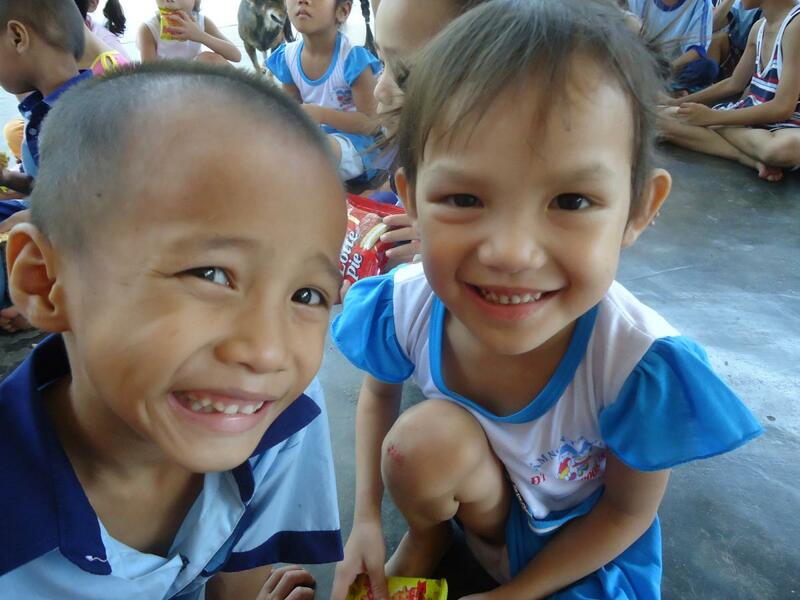 A little girl was left abandoned by the side of the road, and brought to the orphanage 2 days prior to our visit. She was badly malnourished, and though we estimated that she was between 2-3 years old, her legs were too weak to walk, and she was so small they had to use newborn diapers for her. 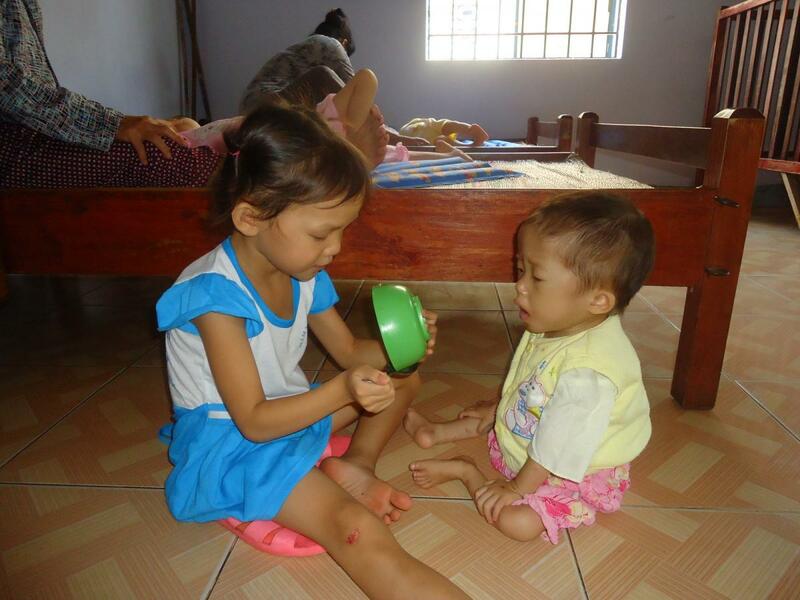 She’s now in a loving environment at Mai Am Anh Dao, and Quang Khanh and Jeff donated some money for any special food or medicine she may require, and to get her a checkup at a doctor as soon as possible.